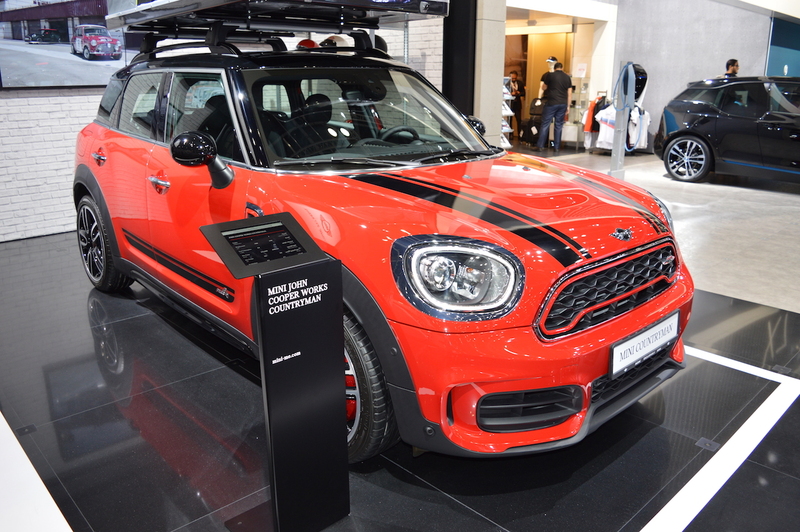 MINI displayed the 2017 MINI John Cooper Works Countryman at the 2017 Dubai Motor Show. 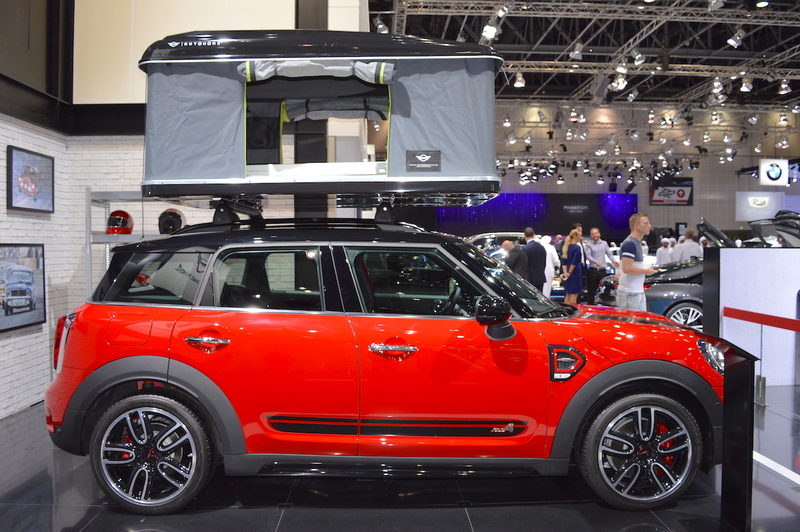 The display model was equipped with a special edition AirTop two-man roof tent from the Italian brand Autohome. The all-new MINI John Cooper Works Countryman is the performance variant of the second-gen MINI Countryman. It gets its sporty character from John Cooper Works aerodynamic kit, including a model-specific roof spoiler and a distinctively stylish rear diffuser, as well as honeycomb pattern hexagon radiator grille and side scuttles with a red accentuation line and the John Cooper Works log and 19-inch John Cooper Works Course Spoke two-tone alloy wheels. Inside, the 2017 MINI John Cooper Works Countryman is equipped with John Cooper Works sports seats, John Cooper Works Sports steering wheel, John Cooper Works gear or selector lever and anthracite roof liner. The 2017 MINI John Cooper Works Countryman is 4,299 mm long, 1,822 mm wide and 1,577 mm tall. Under the hood, there’s a 2.0-litre turbocharged petrol engine producing 231 PS and 350 Nm of torque. Transmission choices include 6-speed manual and 8-speed Steptronic sports automatic. A 0-100 km/h sprint takes just 6.5 seconds. The JCW variant has a top speed of 234 km/h. It features a sports suspension for a more spirited driving, and Brembo sports brake system comprising 4-piston fixed-calliper disc brakes on the front wheels. All4 AWD system is standard. The all-new MINI John Cooper Works Countryman costs AED 2,04,000 (INR 35,94,396.90) in the UAE.